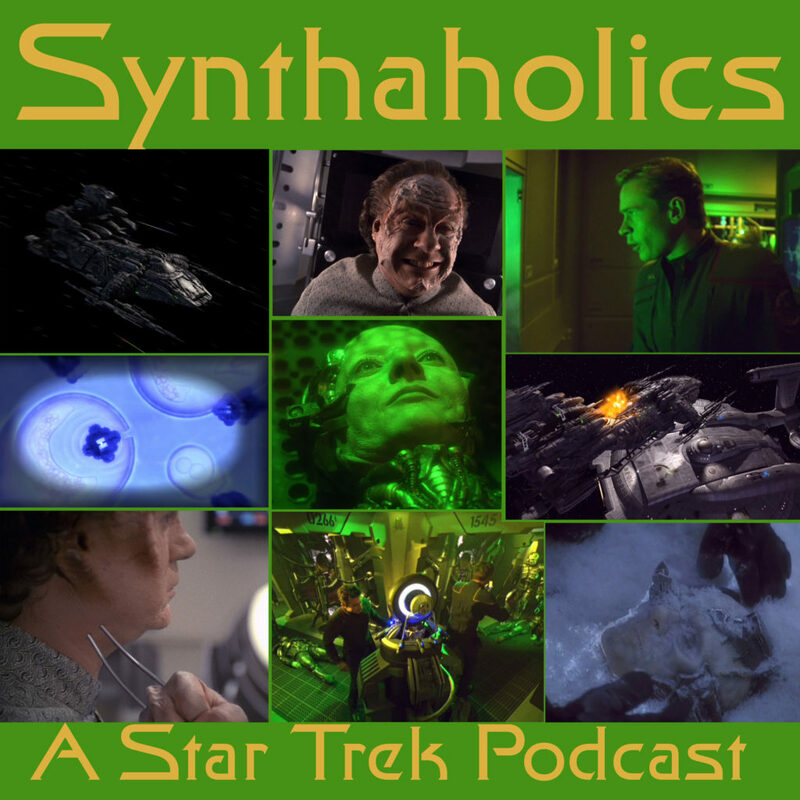 Holly Michelle of Artful Gremlins joins us this week to talk about the Enterprise episode Regeneration. This is the one and only Borg episode of Star Trek Enterprise. The Borg in the episode actually make a ton of sense once taken in context to what happened in Star Trek First contact. Speaking on the Borg this week David made a drink called the Borg Sphere that we drank while recording this episode. Be sure to check out our YouTube Channel for Synthaholic Shorts some videos we have been adding to our channel. The link is below! It’s time to look up the recipe for the Borg Sphere so you can get assimilated for your weekly shot of Star Trek!